Nick Harper – The book – The Wilderness Years – start of the epilogue. I will get this book sorted this year. I have been working on the 7th draft of this book for days now and still finding things to tweak. I’ve been adding photos, writing captions, standardising presentation, checking spelling, grammar, writing blurb, adding discographies and selected works, adding author notes and generally pulling it into its final form. I thought I would share the final first section of the epilogue with you. I’d be grateful for your responses before I go down on Wednesday to Wiltshire to put the final bits in place and send it off to be graphically designed for publication. ← The possible break up of Europe? What would the USA be like if it had split up? I don’t like the use of that first word as it is entirely inappropriate so would render it obsolete. That Simon Cowell section really is not as described. What Cowell does is pop music for television. This has nothing to do with the wide scope of the music industry. It is in extremely rare cases where tribute acts will be found to be outselling creative artists at concerts. These very successful tribute acts are very professional outfits with exemplary standards of musicianship, namely those acts that perform the works of Pink Floyd, Genesis and The Beatles. These acts have a global audience because they deserve one and who’s shows are attended by real fans of the original bands. This is not some kind of cheap shot affair. I think you have misunderstanding of the quality of these concerts. Last years most successful touring bands included The Rolling Stones and U2. There are many hundreds, if not thousands of artists like Nick Harper, if the new album release sections of the adult music press are anything to go by. The number of new releases as featured in UK monthly magazines such as Mojo, Uncut and Record Collector as well as half a dozen others would install a feeling of overwhelming quantity. The vast number of releases on small independent labels has never been in such high quantities. I think the number of music festivals that are held annually in Europe alone would confirm that real live music is been enjoyed by real music lovers and the real festival scene is very much alive and well. The increase in niche type festivals in the UK over the last decade where it’s music and music only is a welcome return to the basic criteria. I attend at least four of them every year. Perhaps the Glastonbury Festival which to some extent has become no more than an item on a bucket list for some people is not the best example. It doesn’t necessarily require 173,000 people to make a festival, and yes it does also have an element of the circus as a regular feature. I don’t attend and have not done so since the takeover of the young Emily Eavis who has been responsible for featuring some of the worst garbage ever heard at Glastonbury, Lilly Allen and Ed Sheeran being an example. All the gathering of the tribes and discussion is on-line and done in huge numbers. The countless thousands of discussion sites are an expression of the vast scope of global coverage. Fans in Australia can talk to those in Vancouver minutes after records are released to swap opinions and information. Often the actual participants of many releases also make themselves available for comments and Q&A. It is in fact a very vibrant scene with many bands hosting their very own websites offering ample facility for input from fans. Nothing happened to the vital importance of it all and I would suggest that you are simply no longer or ever were an active participant. I subscribe to over twenty music artist related web-sites and there is constant information exchange over every single release forthcoming. To the extent that I know so much about the record before I ever get to hear it. The amount of information coming from all areas is astonishing. I think it would be safe to say that you are wholly removed from any of this process, therefore, completely unaware of the true extent of the global interaction going on between vast numbers of people. I do not agree that real music has been pushed to the periphery otherwise we would not have the most music radio stations as can be heard today.. We would not be seeing the rapid rise in vinyl sales year after year and the increase in the number of vinyl pressing plants opening to cope with the demand. The advent of Record Store Day – every April – has seen a huge resurgence in quality pressings featuring many recordings that have never been heard before. The queues as witnessed outside these hundreds of shops up and down the country is representative of a scene not seen since the 1960’s upon the release of a new LP by The Beatles. I don’t think sold out gigs up and down the county by new artists such as Jonathan Wilson is in anyway peripheral. The shows played in the UK over the last couple of years by some of the world’s biggest names were sold out almost immediately, Neil Young, Anderson, Rabin & Wakeman, The Who, Bob Dylan, Steve Hackett, Nick Cave, The Rolling Stones, Roger Waters, The The, Paul McCartney and the forthcoming tour by Massive Attack. The trade press pages are full of adverts for concerts for much less popular names, old and new. Many venues have opened up and down the country who only feature new acts with promotional activities geared towards the young generation. Although I do not attend these, by all accounts these too are sold out. In fact some artists are selling out repeatedly with four visits to the same city in two years. This to some extent is reminiscent of the touring schedules of the 1960’s. 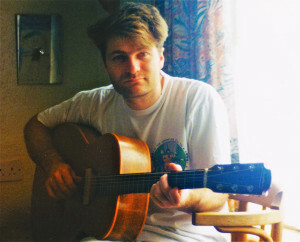 Nick Harper is now 53 years of age and nowhere near the spearhead or the advent of any music scene and it would be accurate to say that his touring days are being met with an ever greater increase in diminishing returns and he presently attracts the lowest numbers of audience numbers perhaps in his entire career. Perhaps your book will do something to address this, let’s hope so as he definitely deserves far greater numbers in his audiences. However, I’m of the opinion and for all the reasons given that this Epilogue is not an accurate appraisal of the health of today’s UK music culture. Thank you for your appraisal. I found it most interesting and informative although I do not altogether share your view. You certainly have addressed areas of the present music scene that I did not touch on. Yes that first word might be considered inappropriate. I will think about that. It certainly is expressive of the feeling I have for the vitality and virtuosity of Nick’s performances. I too hope that something, hopefully this book, will trigger a greater interest in Nick. I believe him to be a truly brilliant talent and an original of the first order. Sorry, don’t agree as there are better expressions of exuberance to be had. It’s not a Punk fanzine you’ve written. There was never anything rock ‘n roll enough or alternate enough about Nick Harper to warrant such. Which areas do you not share view with? I backed up each point – these are not my points of view but situation existent. My only personal input was my dislike of what has become of Glastonbury.